At one point in her life, Mabel Rodriguez hid her insecurities, lack of self-confidence and self-worth through designer clothes, desire to be loved by the wrong men, big Hollywood parties, and many late nights of being intoxicated. Then her world began to fall apart – a series of bad relationships, abuse, and a life-threatening health crisis forced her to change her life and redefine ideas of “perfection” to opt for being real and authentic. In Lit, Mabel reveals the secret to how she healed and turned her past pain, broken relationships, shame, guilt, and addiction into the understanding that all women are “good enough” to live their lives full of hope and big dreams – and be the women they are meant to be. Lit takes readers on a step-by-step journey from darkness to light. 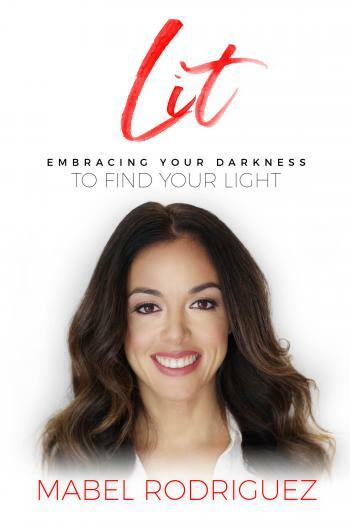 In an edgy, brutally honest tale of transformation, you will learn how to completely accept yourself, and live a fulfilled, fully “LIT” life from the inside out.